Wifi Archives | Page 16 of 18 | King Rentals, Inc.King Rentals, Inc.
Spanish Main is a beachfront condominium complex located just north of downtown Cocoa Beach that offers a large, heated pool and private beach access. This newly remodeled 2-bedroom, 2-bath unit features a fully equipped kitchen, laundry in the unit, internet access, and more. The open concept living & dining room opens onto the balcony, which overlooks the pool and has beautiful side views of the ocean, just steps to the beach and pool. This is the perfect beach getaway for the business or vacation traveler. Centrally located in the Cape Canaveral and Cocoa Beach areas near local amenities, convenient for exploring all the Space Coast and Orlando have to offer. Spanish Main is a beachfront condominium complex located just north of downtown Cocoa Beach that offers a large, heated pool and private beach access. The unit features a fully equipped kitchen, laundry in the unit, internet access, and more. 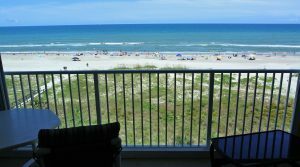 This is a two bedroom, two bathroom unit with a balcony, just steps to the beach and pool. This is the perfect beach getaway for the business or vacation traveler. Centrally located in the Cape Canaveral and Cocoa Beach areas near local amenities, convenient for exploring all the Space Coast and Orlando have to offer. Spanish Main is a beachfront condominium complex located just north of downtown Cocoa Beach that offers a large, heated pool and private beach access. The unit features a fully equipped kitchen, laundry in the unit, internet access, and more. This is a two bedroom, two bathroom unit with a patio, just steps to the beach and pool. This is the perfect beach getaway for the business or vacation traveler. Centrally located in the Cape Canaveral and Cocoa Beach areas near local amenities, convenient for exploring all the Space Coast and Orlando have to offer. Located at the beach front Sandcastles condominium community, this two bedroom, two bathroom unit boasts beautiful views of the ocean from its 6th floor balcony. 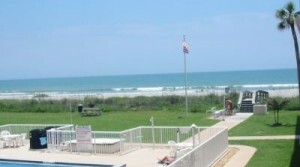 The complex offers beach access, a heated pool, a hot tub, and tennis courts. Unit #606 features a fully equipped kitchen, laundry in unit, and internet access from a central location in Cocoa Beach that is perfect for exploring the Space Coast and Orlando areas.